The Astronomical Observatory was designed by Charles A. Gunn. 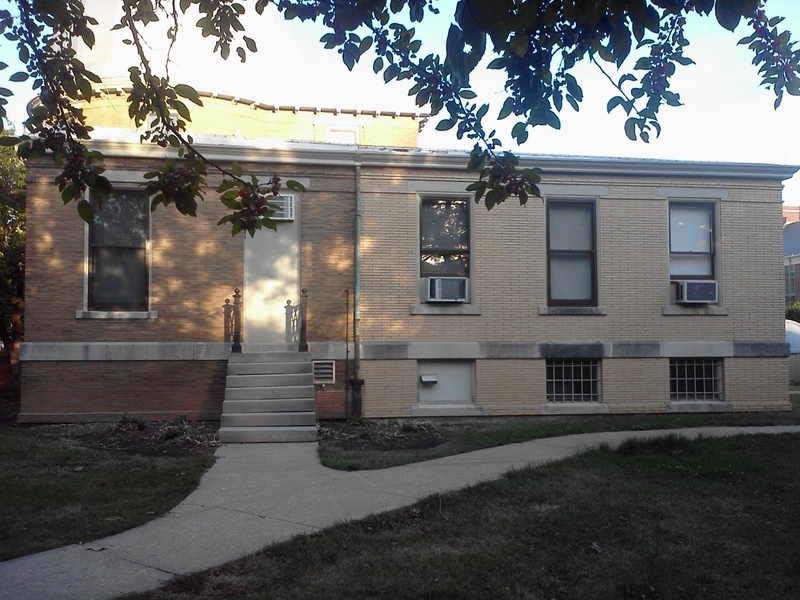 The academic and research facility was completed in 1896 and is located in Urbana. The Astronomical Observatory is a U.S. National Historic Landmark located just north of the Morrow Plots. 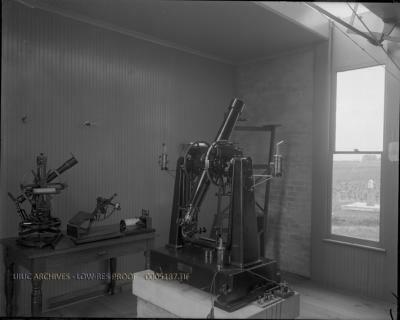 The observatory has been used by scientists like Joel Stebbins and Robert H. Baker who were important in the development of astronomy. The building is associated with the development of selenium and photovoltaic cells, but is no longer being used for professional research now. 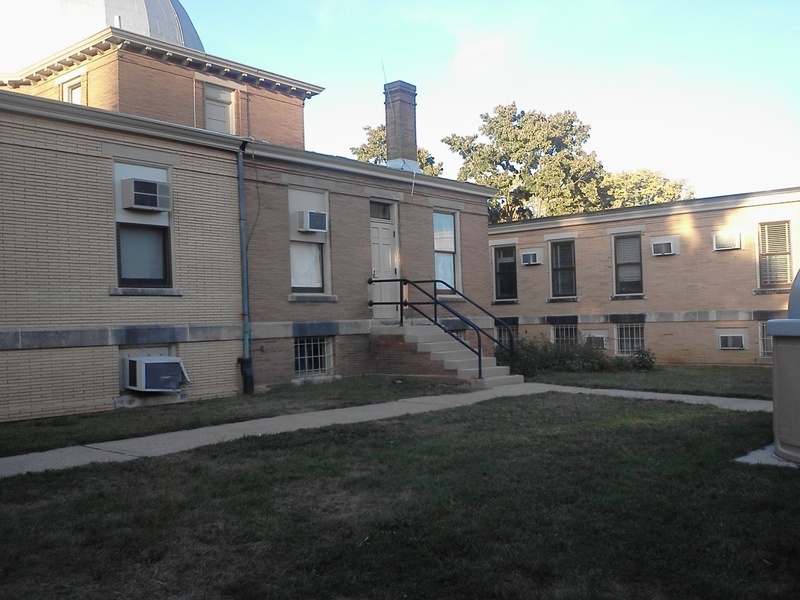 Despite this the facility still houses a 12 inch Brashear refractor that is currently used by astronomy classes at the University and the University of Illinois Astronomical Society. 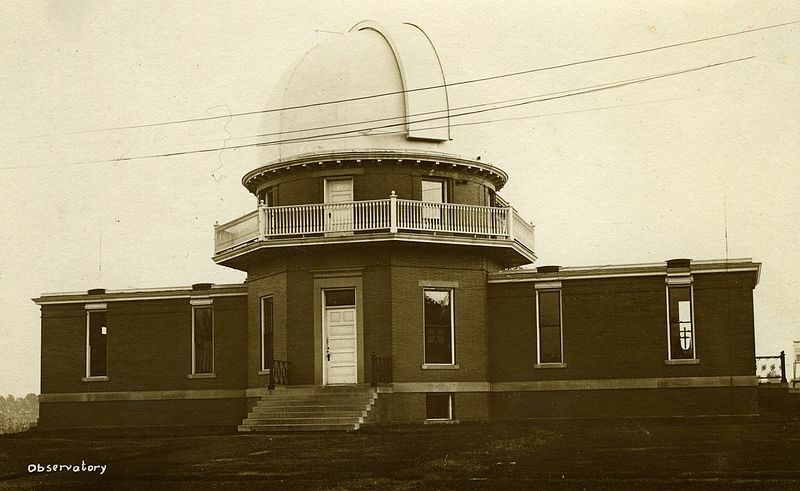 Prior to the building’s construction, astronomy courses were led by the mathematics department. 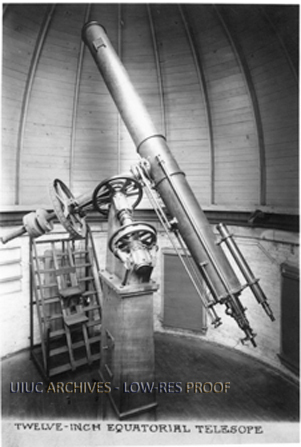 The previous observatory only had a 4 inch refractor and small transit telescope which left more to be desired. 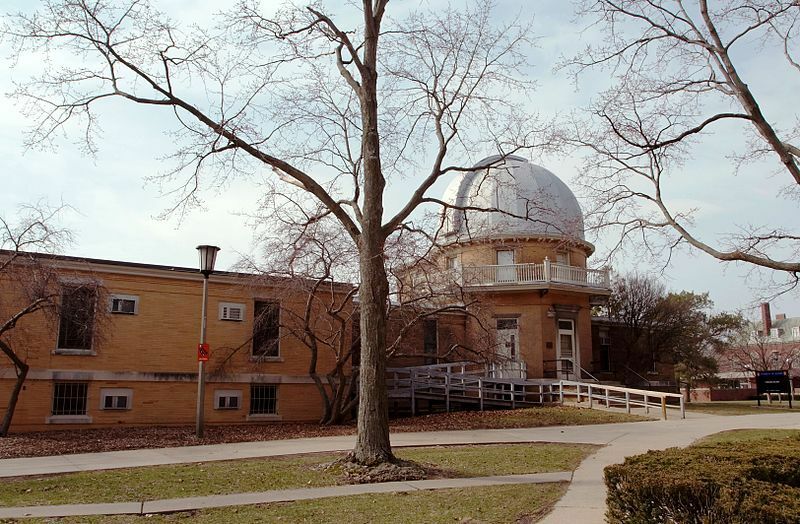 With the increasing interest in astronomy by several mathematics instructors and students of the University, the Illinois state legislature passed a vote to fund construction of the new Astronomical Observatory with a total cost of $6,800. 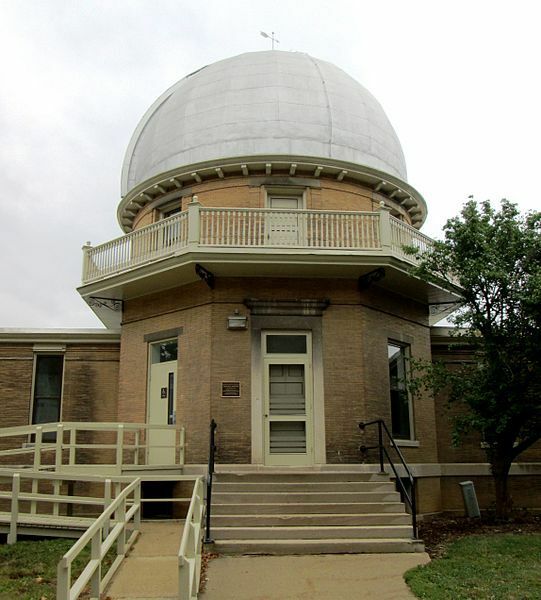 The Astronomical Observatory was placed on the U.S. National Register of Historic Places in November 1986, just following its construction. Architect Charles A. Gunn led the construction of the Astronomical Observatory. 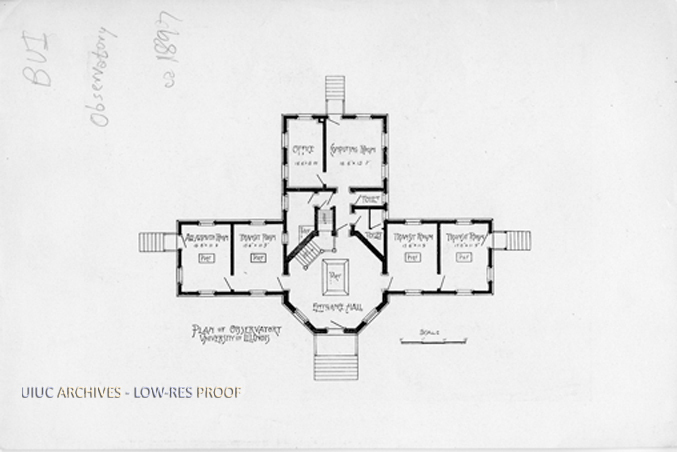 It was planned in Colonial Revival style and follows a T-plan. An addition in the southwest corner was built in 1956 in a style replicating as much as possible from the original building. Another addition was later built in the east wing in 1966. One notable feature of the Astronomical Observatory is the observation dome with an internal diameter of 24.5 feet. The dome itself has a slit opening of 44 inches and is operated by hand. Rotating the dome itself is managed by a motor drive. The Astronomical Observatory is a two story building with a basement. The ground floor stores an antique 6 inch equatorial refractor and a few other instruments and some office space in the east and west wings. The 12 inch refractor and support structure is in the observing dome, located on the second floor. The small basement houses a vending machine. Charles Alexander Gunn received his B.S. in Architecture in 1892 from the University of Illinois. Soon after graduation he served from 1893 to 1896 as an Assistant in Architecture at the University. Between 1897 and 1907 he worked in various parts of the United States, mainly New York and Pittsburgh. Starting in 1916 until 1921 he worked as the mission architect for a Presbyterian missionary. This led him to be involved in the Philippines, South China, and Hawaii. As a missionary architect, he emphasized the construction of quality buildings by trained experts and not just ‘foreign-styled buildings’ to aid missionaries. In 1940 Gunn became an instructor at the American University in Cairo (AUC Egypt). 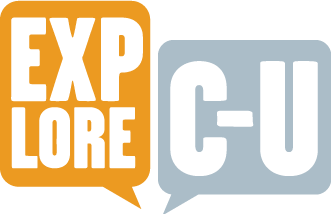 Haralabos Karayiannis, Emma Jebe, and Puchun Zhang, “Astronomical Observatory ,” ExploreCU, accessed April 20, 2019, https://explorecu.org/items/show/276.